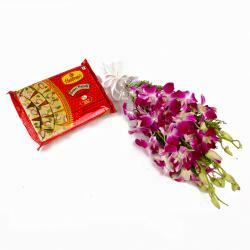 Product Consists: Bouquet of 10 Purple Orchids with green fillers along with Box of Kaju Katli (Weight : 500 Gms). This hamper makes for a fabulous gift when it comes to occasions like Birthday, Anniversary, Best of Luck, Durga Puja, Womens Day. This combo contains garden fresh flowers bouquets of ten purple orchids which are packed immaculately in cellophane along with a matching ribbon bow which is tied onto it. This combo also contains a delightfully delicious kaju katli sweet box. 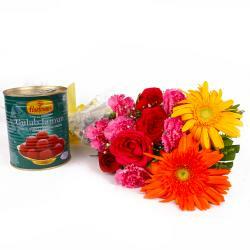 This combo will be a really attractive option for all your gifting needs. 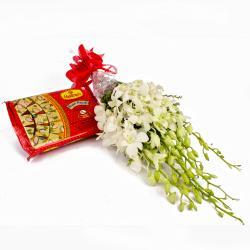 Send this amazing bouquet to your dear ones along with other Gifts to India through Giftacrossindia and make them feel special. 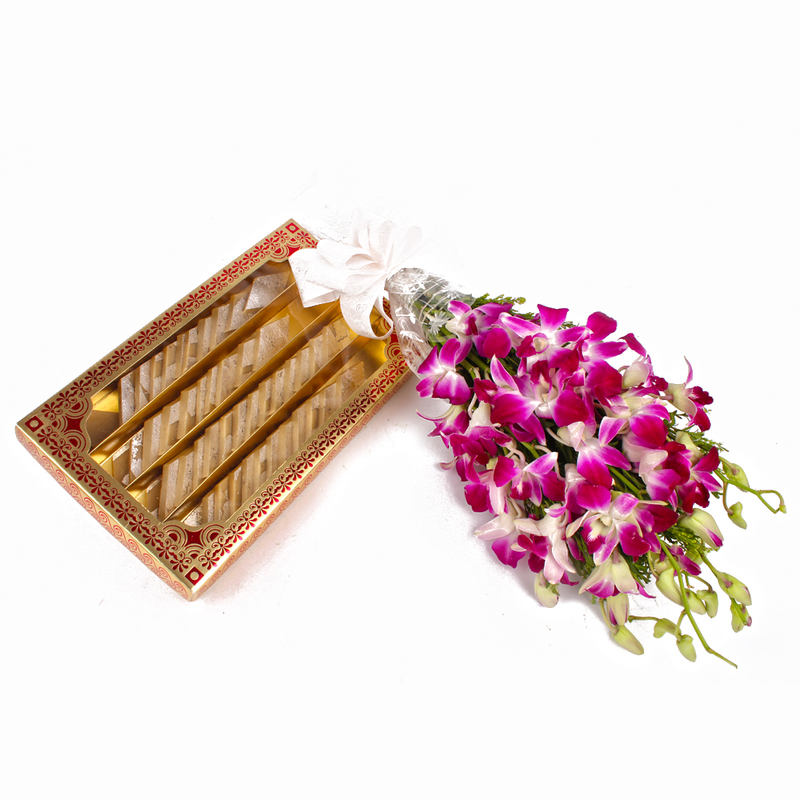 This gift hamper contains : Bouquet of 10 Purple Orchids with green fillers along with Box of Kaju Katli (Weight : 500 Gms).